We are back again with 3 Android apps, not games, that we think are worth your time if you have not yet already downloaded them. During these posts, we like to showcase a few popular apps, as well as maybe not-so-known apps that deserve a bit of limelight. 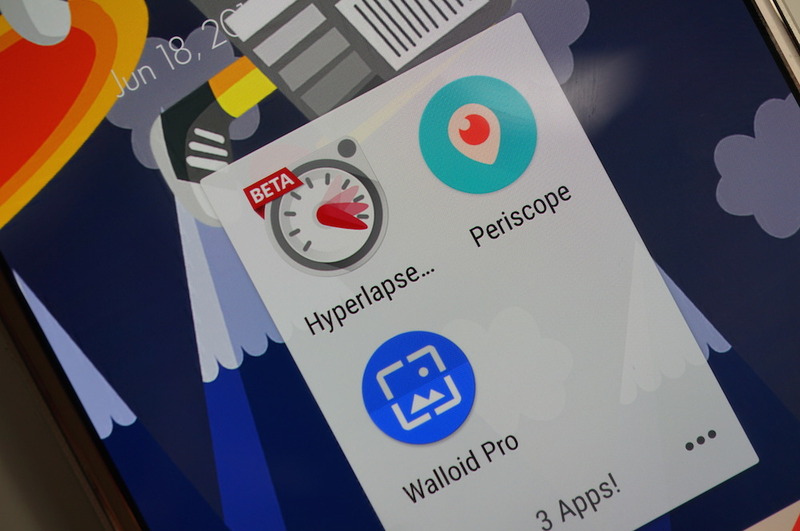 This week, we are taking a look at Twitter’s Periscope, Microsoft’s Hyperlapse, and the Walloid Pro HD Wallpaper apps. Each offers something very different, naturally, so be sure to look below and learn more about them if you have yet to try them out. We have one person on the DL staff that doesn’t much care for Periscope and Meerkat, or any other livestream app for that matter (cough, Kellen, cough), but I appreciate Periscope and what it does to bring real-time events taking place directly to another person’s smartphone. Linked directly to your Twitter account, users can stream live video over the Internet to anyone who follows them. For example, if I was rummaging through kicks at Foot Locker, demonstrating at a political rally, or just doing something spontaneous and adventurous, I could send video of my experiences directly to you. It’s all about sharing whatever you want with people from across the globe. Periscope is free to download and use, but you do need a Twitter account. But those are free, too, so nothing is holding you back from seeing what others are sharing, or sharing a little bit of your own. Wallpapers! Seriously, we can never have too many wallpapers, and thanks to the app called Walloid Pro, I get access to wallpapers from all of my favorite phones and custom ROMs in a single place, all in HD quality. When you open the app, you can choose which source you want to see wallpapers from. 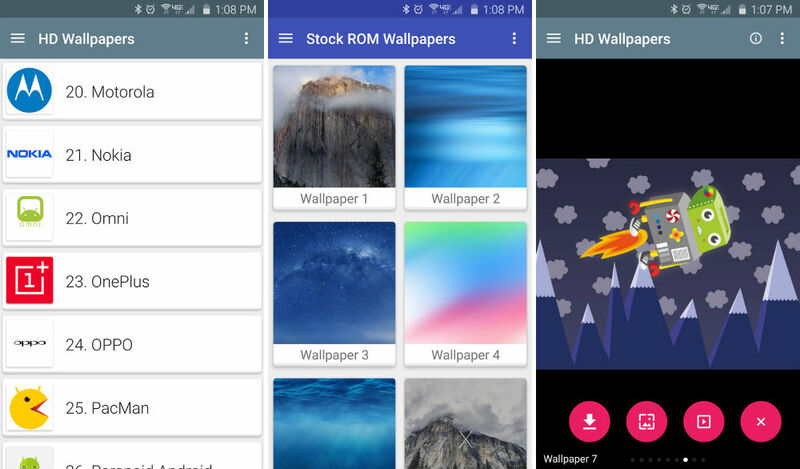 For example, you can view all stock wallpapers featured on various HTC or Samsung devices, or you can access wallpapers from custom ROMs such as CyanogenMod and Paranoid Android. Walloid Pro costs just a couple of bucks, but if paying ain’t your style, there is a free version available right here. But if you like the work, which I think you will, help the developer out. While we still wait for Instagram to launch its own Hyperlapse app onto Google Play, even though they are clearly too busy rolling out ads to feeds, Microsoft has a solution of their own called Microsoft Hyperlapse. And you know, it’s actually pretty great. It’s a basic app, but extremely functional for how minimal it is. To get started, you can record a new video or import from your gallery. If you decide to record a new video, simply click “record.” The video will begin recording at 4x speed, which means for every 4 seconds in real life the video will be 1 second long. For some basic arithmetic, let’s say your video is 1 minute long in real time. That means your hyperlapse will be 15 seconds long. Anyway, you can record whatever you like, and the point is to turn your long video into an action-packed condensed version. Once you are done recording, you can choose how sped up you would like the video. You can choose from 4x, 8x, and 16x. Pro tip, 16x is the fastest. Now, this app is still in beta, so to download, you will need to follow these instructions carefully to get it. First, join this Google+ community. Then, click this link to become a tester. Then, and only then, will you be able to find the app on Google Play to download it. Have some apps you think we should check out? Well, send them in!